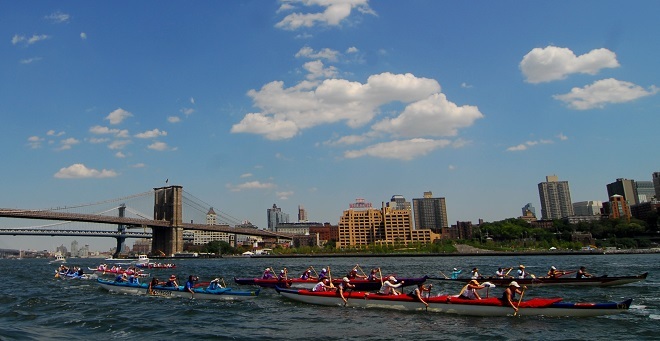 There are many places to watch the Hawaiian Airlines Liberty Challenge hosted by New York Outrigger on Saturday, June 20, 2015. 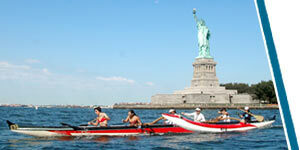 Come up close as the outrigger canoes launch at Hudson River Park’s Pier 26 and join in on the Festival. 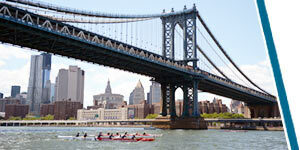 Aside from the race venue, the race occurs on most of New York and New Jersey’s waterways providing excellent viewing opportunities of the race in progress from the shore. Below is a list of prime vantage points and approximate times when you can support your favorite teams as they pass by. Cheer on your favorite teams from the Promenade between Hubert Street and Watts Street in the Pier 26 Uplands as teams warm up in the embayment prior to the start of the race at Pier 26. Head to the end of Pier 25 and Pier 26 for prime close up views of the exciting commotion of the race start as the crews jockey for position. 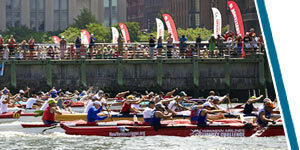 Watch the teams find their race pace as they paddle around the Battery along Rockefeller Park, The Esplanade, Robert Wagner Jr. Park and Battery Park on their way towards the South Ferry. Battling the strong currents of the East River, watch the crews navigate the challenging anti-ama buoy turn from the deck of the Manhattan Bridge. 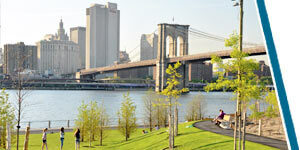 Best viewing of their battle through the East River currents can be viewed along the length of Brooklyn Bridge Park. 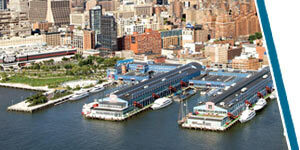 Cheer them on as they pass Empire-Fulton Ferry Park and the brand new sections of Pier 1, Pier 2 and Pier 5. See the crews as they enter the turbulent and heavily trafficked waters of New York Harbor. Commercial traffic does not stop for this race so crews must navigate between them. 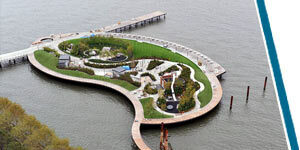 Best views are from the eastern and southern ends of Governors Island facing Buttermilk Channel, the Statue of Liberty and Ellis Island. See the crews charge up the Hudson River along the Hoboken Waterfront past Pier A, Pier C, Sinatra Park and their buoy turn at Hoboken 14th Street Pier as they turn to cut across to Manhattan. 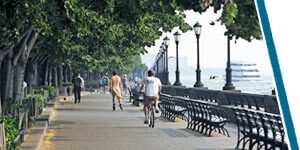 Crews will be charging across the Hudson River towards a turning buoy at Pier 66 before making the turn south. 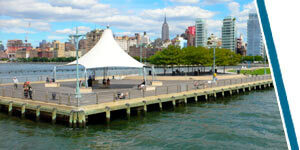 Welcome the crews back to Manhattan at the end of Chelsea Piers. 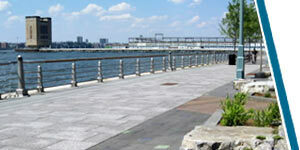 The final legs of the race can be seen along the southern sections of Hudson River Park. 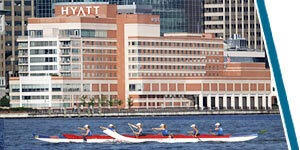 Cheer them on as they pass Pier 66, Pier 64, Pier 62, Pier 45 and Pier 40 until they cross the finish line at Pier 26.